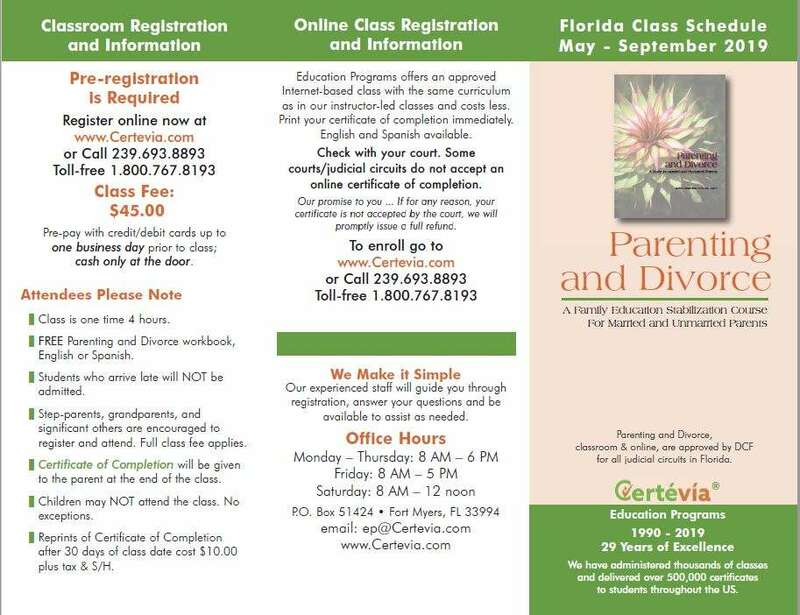 Florida Parenting and Divorce Class Schedules, 25 pack of tri-fold color fliers. This product is free with free shipping for Florida Courts and Attorneys. Simply place the items in your cart and check out using "Credit Card by phone option" and ignore the shipping fee in the order- we'll pick up that cost. If you need more than 25 simply add additional items- for 50 total just add a second item to your cart. Need to print a few right now? Simply click DOWNLOAD. Free with Free shipping for Courts and Attorneys. Since 1990 over 500,000 individuals have successfully received their Court Ordered Parenting Course certificates through Education Programs. Be patient and understanding. Don't let anger interrupt and take over. Learned how to not let him push my buttons and then respond to. 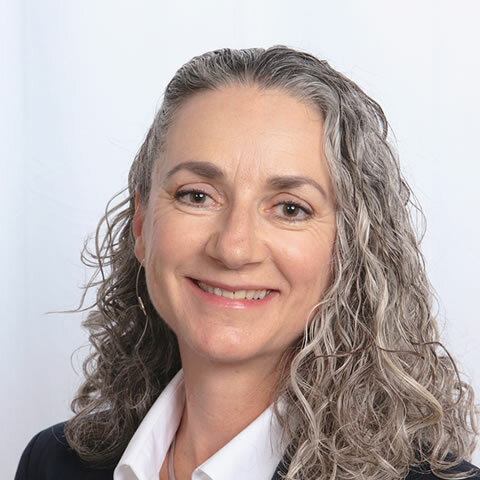 i have learned some of the legal terms that before just seemed a little comnfusing to me, also things were put into perspective a little in regards to how a child feels when certain things are happening. Signup for our really cool list to get all our news! 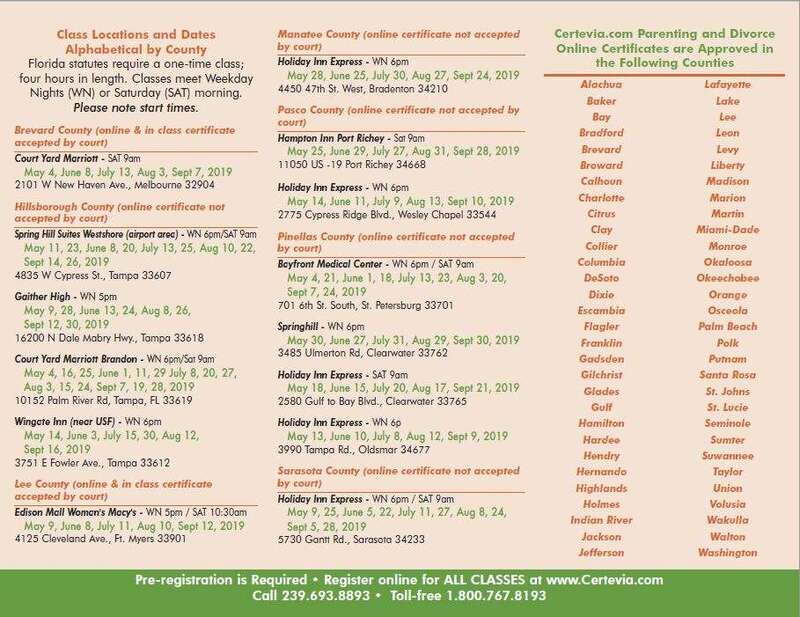 Certevia® Education Programs © 1990 - 2019. All Rights Reserved.